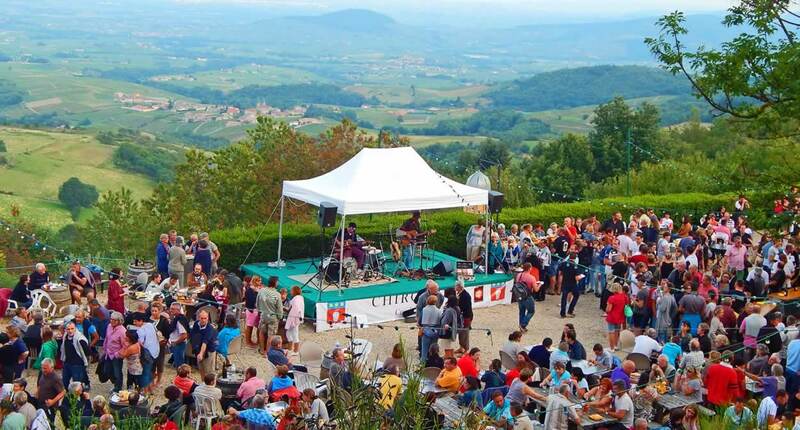 Summertime is party-time in Beaujolais and it's free ! Outdoors, 5 days a week starting at 7pm . Guinguettes, quizzes, concerts, night markets, and of course the chance to discover local produce. Good times galore! Tuesday, dance at Belleville port. Wednesday, concerts with panoramic views from the Terrasse de Chiroubles. Thursday, musical market at Fleurie. Friday, get your brain in gear for a quizz at Espace des Brouilly in Saint Lager. Saturday, a Bacchus-themed guinguette in Beaujeu! Your mouth is watering already, isn't it ? So break out the Beaujolais and Beaujolez-vous !